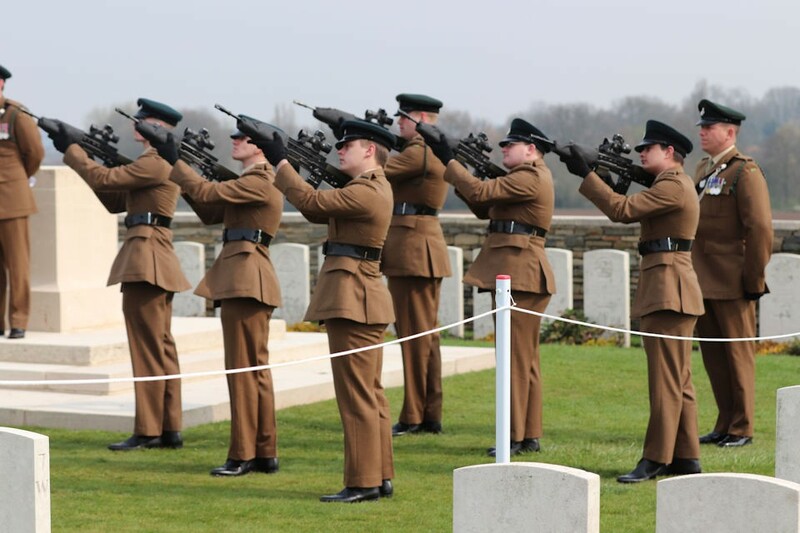 Private Burt was buried last week during a moving ceremony at the Commonwealth War Graves Commission (CWGC) Guards’ Cemetery, Lesboeufs, on the Somme in France. The service, organised by the MOD’s Joint Casualty and Compassionate Centre (JCCC), part of Defence Business Services, was conducted by the Reverend Richard Begg CF, Chaplain to the 3rd Battalion, The Rifles. Pte Burt was killed on 16 September 1916, during the Battle of Flers-Courcelette, which was part of the Battle of the Somme. He was found with several artefacts including a disc that was engraved with “Pte. A. Burt, 13201, 7th D.C.L.I.”. Following this discovery, the JCCC were then able to trace the nephew of Pte Burt, Mr Philip Lean, who provided a DNA sample which confirmed the identity of PteBurt after more than a century.